Overlooking the Great Falls of the Lehigh River, Historic Stoddartsville offers the ideal destination for anyone’s weekend getaway. 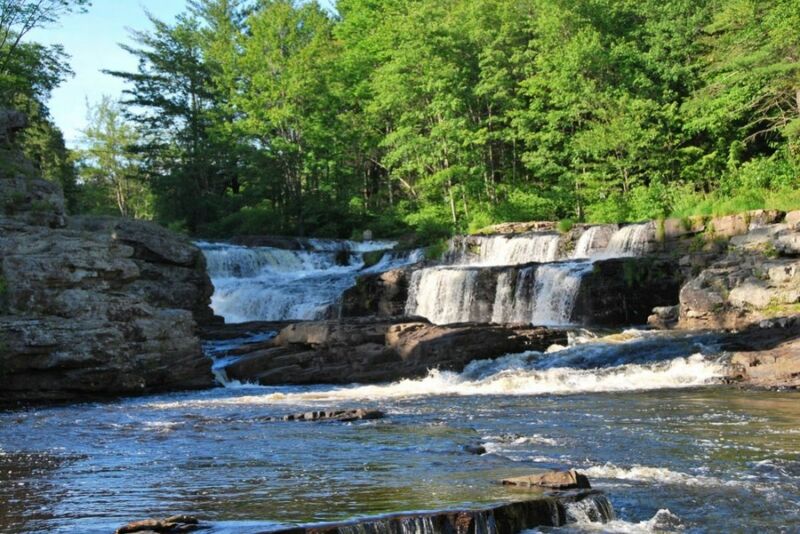 Our views of the upper Lehigh River are guaranteed to impress! Riverfront lodge and cabin as well as two spacious cottages available for short and long term rentals in all four seasons. Whether you are looking to hunt, ski, hike, or to just relax by the fire, Historic Stoddartsville is your #1 vacation destination in the Poconos. Click here for the latest updates for Spring and Summer 2018 from Historic Stoddartsville. From newly born goats to the restoration of a historic barn, there’s always something going on in Stoddartsville!